Patricia maintains a highly successful legal practice in Garden City, New York, focusing her energy and professional expertise on the issues of matrimonial law, domestic violence, child custody, sexual abuse and all phases of family court matters. Since starting her practice in 1995, she has committed to providing cost-effective, high-quality legal representation that is based in a deep understanding of individual needs. As a wife and mother herself, Patricia is deeply committed to the rights of women and children , and is well-known as an advocate for the safety and security of battered and abused women and their children. She will be a vocal champion of your rights, including custody, child support and maintenance; in order to restore a sense empowerment and help you thrive independently. She is a charter member of Community Legal Research Network (CLRN) which was founded by the City University Law School at Queens College to help new attorneys begin their solo practices and give them needed support so that they may offer services to all members of their community. 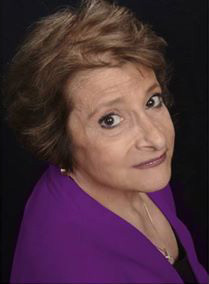 Patricia A. Sokolich received her Juris Doctor degree from CUNY Law School in 1993 and has been admitted to practice before the U.S. Supreme Court and Courts of the State of New York. She is a member of the New York State Bar Association; Nassau County Bar Association and City Bar Association. She is a member of the Inns of Court and has been appointed to the Nassau County Panel of Attorney for the Child for the past twenty years.